Positive Expiratory Pressure (PEP) is breathing against resistance, which can be performed either through a device or against pursed lips . Some literature has described PEP as two types varying in pressure range low and high pressure PEP. Low pressure PEP ranges from 5-20cm H2O at mid-expiration, whereas high-pressure PEP ranges from 26-102cm H2O which is achieved by maximal inspiration followed by performing forced expiratory maneuver into PEP mask. Other sources have described PEP as a three airways techniques that has been developed based on expiratory resistance:- PEP, High Positive Expiratory Pressure (HiPEP), and Oscillatory Positive Expiratory Pressure (OscPEP). 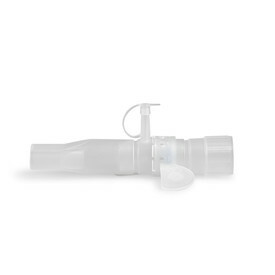 Involves breathing against expiratory resistance to temporarily increase Functional Residual Capacity (FRC)and Tidal Volume (VT)accompanied by clearance techniques such as Forced Expiratory Technique (FET), huffing, and or coughing. Involves breathing against resistance by augmenting expiratory flow using FVC. Oscillating PEP is an airway clearance technique, where the person blows all the way out many times through a device. Commonly known by their brand names (Flutter®, Acapella®, AerobikA®, and RC-Cornet®), these types of oscillating PEP devices work in two ways. Firstly, they use resistance to make it more difficult during the breath out, like non-oscillating PEP devices. Oscillating PEP devices also create vibrations when a patient breathes out. The vibrations move mucus from the surface of the airways. After blowing through the device several times, the person will huff and cough to clear the mucus from the lungs. An increase in FRC is attained by alteration of breathing pattern that is a product of a decrease in expiratory flow and an increase in expiratory time leading to exhalation of smaller volumes. lung volume increase is achieved by altering breathing pattern, thereby increasing VT and decreasing respiratory frequency, which is due to an increase in muscle activity of inspiratory and expiratory muscles. Improved gas exchange is a result of breathing during a prolonged period with normalized lung volumes. Hyperinflation is a result of air entrapment causing the lungs to over inflate. It is caused by muscle spasm, mucosal inflammation, hyper-secretions, reduced lung elasticity due to destruction of lung parenchyma. If Untreated may lead to inspiratory muscle exhaustion, decreased ventilation, and deficient gas exchange. PEP reduces expiratory flow, which in return decreases the declining pressure across the airway wall thereby reducing collapse. Increasing pressure within airways transports EPP centrally and in stable airways therefore stenting them. Reduction of airway collapse increases expired volume leading to additional emptying of lung volume thus lowering FRC and improving ventilation distribution and gas exchange. It homogenously mobilize secretions in collapsed airways. It aims towards increasing FRC by recruiting collapsed lung volumes and uses resistance to obtain progressive homogenization emptying of the lungs. 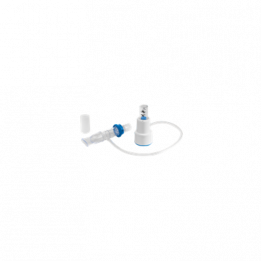 Homogenization is achieved by the facilitation of EPP to move peripherally during expiration avoiding collapsed airways, trapped gas, and atelectasis. This results in reduction of respiratory flow and an increase in expiratory flow combined with an increase in FRC. In doing so secretion is mobilized in closed or collapsed and unreachable parts of the lungs. HiPEP is proven to be an airway clearance technique equally or more effective than PEP. The oscillating property is achieved by bursts and turbulent expiratory airflow due to the opening and closing of the valve. Oscillations during expiration decreases the viscoelasticity properties of mucus, effecting its movement which depends on the oscillating frequency. OscPEP is equally as effective as other Airway Clearance Technique (ACT) as PEP and Active Cycle Breathing Technique (ACBT). Face mask with a one-way valve to which expiratory resistors are attached or face-mask connected to a plastic ring drilled by holes of different caliber that act as resistors. Both devices could be suited to mouthpiece application if necessary. These systems are considered to be flux-dependent. A very common threshold-dependent system is "PEP Bottle" or bubble PEP that consists of a bottle filled with a predetermined quantity of water in which a tube that draws from the bottom. Patient blows into the tube and has to overcome the pressure opposed by the level of water until bubbles are produced. PEP may also be applied tighter with vibrations with oscillating PEP (OscPEP) devices . Aerobika® , Acapella®, VibraPEP®, vPEP® are flux-dependent plastic-made devices with a general mechanism of opening and vibrating. OscPEP can also be applied with a threshold-dependent mechanism with a high density steel "movable ball" that is interposed on a funnel or circular cone between the exhalation tract of the device causing a vibration that is transmitted to the lungs (examples are PARI O PEP®, Flutter® , TurboForte®, PEPE). Treatment can be carried out in sitting or any postural drainage position (where possible). Relax your stomach muscles and take a few normal breaths before using the PEP device. Close your lips around the mouthpiece of the PEP device, making sure there is a good seal. Take a slightly bigger breath in through your nose and then blow out through the PEP device. You may feel vibrations on your chest wall. Repeat eight to 10 times. Following this you should put the PEP device down and do huffing and coughing to clear any sputum. You should then have a period of relaxed breathing before continuing. This cycle should continue for 10-20 minutes or until you have cleared all your sputum. Instructions for PEP devices may vary. Please see manufacturers instructions. Following meta-analyses of the effects of PEP versus other airway clearance techniques on lung function and patient preference a cochrane review demonstrated that there was a significant reduction in pulmonaryexacerbations in people using PEP where exacerbation rate was a primary outcome measure. PEP therapy appears to have similar effects on health related quality of life, symptoms of breathlessness, sputum expectoration, and lung volumes compared to other ACTs when prescribed within a stable clinical state or during an acute exacerbation. "Chest physiotherapy with positive expiratory pressure breathing after abdominal and thoracic surgery: a systematic review"
This review has investigated the effect of PEP breathing after an open upper abdominal or thoracic surgery. Questionable quality standards, different protocols and PEP devices used among the six RCTs included concur to uncertainty about PEP effect. It is not possible to assume that a prophylactic chest physiotherapy treatment is superior to a PEP device protocol in preventing within five-days postoperative complications. ↑ 2.0 2.1 2.2 2.3 2.4 2.5 Monika Fagevik Olse ́n a, b,c,*, Louise Lannefors d, Elisabeth Westerdahl e,f.Positive expiratory pressure e Common clinical applications and physiological effects.Respiratory Medicine.2015;105;297- 307. ↑ 3.0 3.1 Downs, Anne Mejia.Cadiovascular and Pulmonary Physical Therapy Evidence and Practice 4th ed. :Donna Frownfelter, Elizabeth Dean. ↑ 4.0 4.1 Cerny, Joan C Darbee Patricia J Ohtake Brydon JB Grant Frank J. Physiologic Evidence for the Efficacy of Positive Expiratory Pressure as an Airway Clearance Technique in Patients With Cystic Fibrosis. Physical Therapy. (1 June 2004). ↑ RRT-NPS, Timothy R Myers.Positive Expiratory Pressure and Oscillatory Positive Expiratory Pressure Therapies.Respiratory Care.Oct 2007;52;10;1308-1327. ↑ 7.00 7.01 7.02 7.03 7.04 7.05 7.06 7.07 7.08 7.09 7.10 7.11 7.12 7.13 7.14 Monika Fagevik Olse ́n a, b,c,*, Louise Lannefors d, Elisabeth Westerdahl e,f.Positive expiratory pressure e Common clinical applications and physiological effects.Respiratory Medicine.2015;105;297- 307. 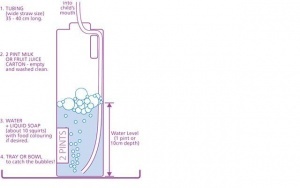 ↑ 10.0 10.1 TheraPEP® PEP Therapy System.https://www.smiths-medical.com/products/respiratory/bronchial-hygiene/therapep-pep-therapy-system (accessed 25 June 2018). ↑ Positive Expiratory Pressure Therapy using PARI PEP.http://bronchiectasis.com.au/resources/videos/positive-expiratory-pressure-therapy-using-pari-pep (accessed 25 June 2018). 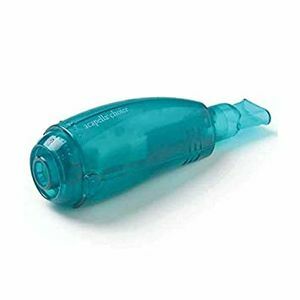 ↑ Bubble PEP (Positive Expiratory Pressure). Cincinnati Children's.https://www.cincinnatichildrens.org/health/b/Bubble-PEP(accessed 25 June 2018). ↑ Örman, Jenny, and Elisabeth Westerdahl. "Chest physiotherapy with positive expiratory pressure breathing after abdominal and thoracic surgery: a systematic review." Acta Anaesthesiologica Scandinavica 54.3 (2010): 261-267.